It’s a dog-eat-dog world out there. That’s why competitive analysis is an essential skill for marketers who want to beat the competition. The goal of competitive intelligence is to inform and validate your marketing strategy to stakeholders. So before you get into how to do a competitive analysis, you need the right framework in place. 1. Choose the right metrics. Many marketers struggle to identify the right marketing KPIs and metrics to track their performance. Tracking follower growth on social media channels allows you to determine the increases and decreases in your brand’s digital audience. By benchmarking audience growth against competitors you can spot where competitors are having a greater impact and improving brand awareness. 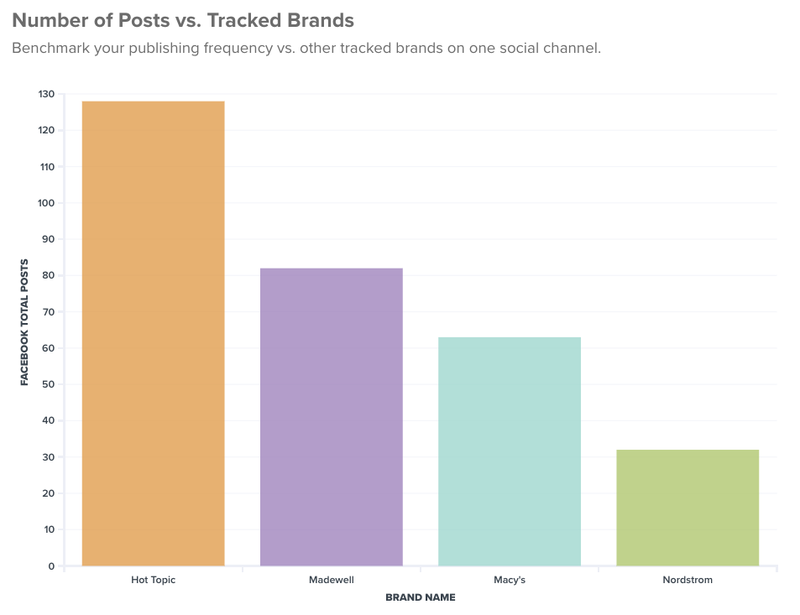 Are competitors posting more or less frequently than you are? You can optimize your brand’s distribution strategy by identifying your competitive advantages and maximizing the impact of your content calendar. For example, if your competitors are focusing on tweeting at lunchtime, when Twitter users in your industry are the most active, don’t just add more tweets to an already noisy conversation. Find times when there is less competition for your audience’s attention, but there is still activity among users in your industry, and optimize your content schedule around those times. Content engagement tells you what your audience really cares about based on the number of interactions a piece of content receives. Paired with content distribution, tracking engagement lets you compare the effectiveness of your content strategy versus your competitors. 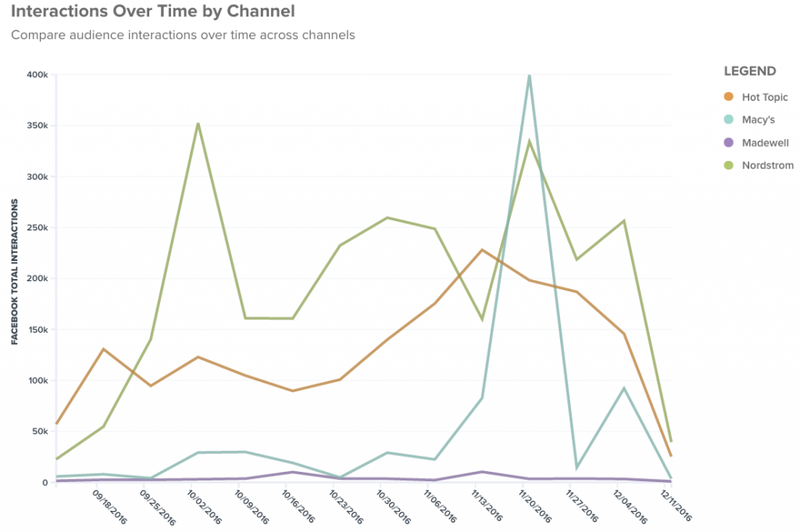 Share of interaction (SOI) graphs show how your marketing performance on a particular channel changes over time. 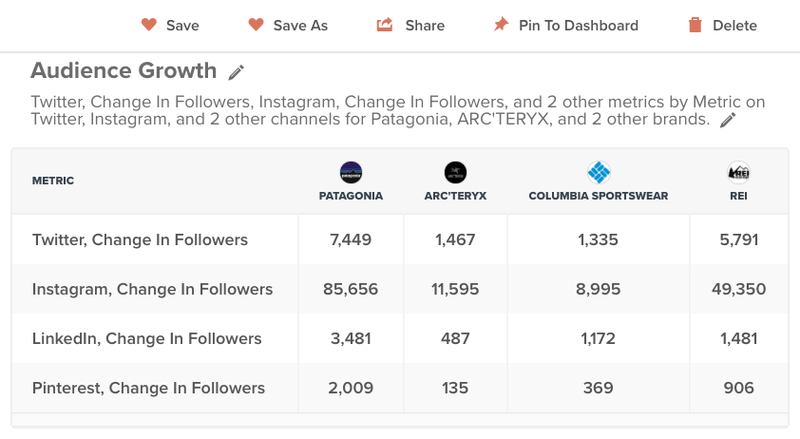 SOI graphs are excellent for competitive analysis as a tool for visualizing head-to-head comparisons of your industry ownership of specific channels. 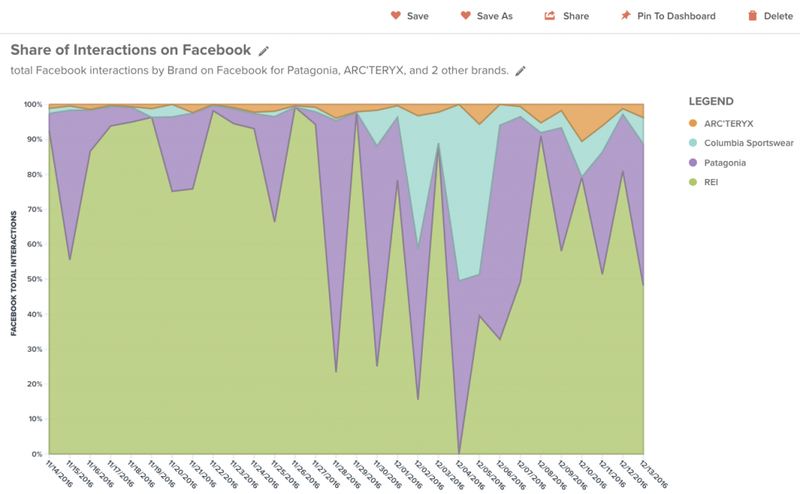 Surface more actionable insights by comparing share of interactions for content on specific topics. For example, a retail brand may want to find out how much engagement their holiday content is getting across different marketing channels versus its competitors to measure the success of its digital holiday marketing campaign. 2. Choose the right marketing channels. When exploring how to do a competitive analysis, ask yourself: What are the key digital channels for your brand? For your competitors? Keeping tabs on your marketing performance across both core and emerging channels will prevent a competitor from sneaking into your content marketing blind spot. Take a look at this guide to choosing the most effective marketing channels for your B2C brand. 3. Choose the right competitors. Brands use competitive analysis to benchmark their marketing performance against leading competitors, industry influencers, and aspirational brands. For example, Target might benchmark directly against other retailers, like Walmart and Kmart, as well as specialized retailers, such as Best Buy, and luxury retailers, like Nordstrom and Saks Fifth Avenue. 4. Prove your marketing value with a competitive analysis report. Now that you’ve collected your competitive intelligence, you need to report on your team’s successes to executives. Highlight the key performance indicators that show how your brand is beating the competition. Growth in areas such as engagement, share of interactions on specific topics, audience size, and website traffic, can demonstrate how your marketing team is helping the company to overtake its competitors. Don’t forget to update stakeholders on new or rising competitors in the marketplace, and how you plan to stay ahead of the pack.